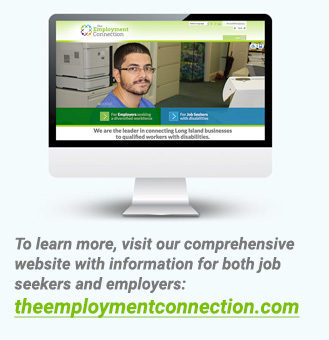 UCP of Long Island’s The Employment Connection is a leader in connecting Long Island businesses with qualified workers with disabilities. We provide a wide array of employment-related and vocational rehabilitation services leading to competitive community employment for people with disabilities. Meet companies’ diversity guidelines or government regulations regarding hiring people with disabilities.